Do you own a home that needs premium homeowners� insurance in Des Moines IA, Clive IA, Urbandale IA, West Des Moines IA, or the surrounding areas? Do you need a comprehensive policy from an insurance company you can trust? If this sounds like you, then our team at Absolute Insurance Agency can help! We are an independent agency that provides a wide array of coverage solutions that includes home insurance, renters insurance, flood insurance, earthquake insurance, condo insurance, and more to meet the needs of our diverse range of clients. A home is one of the largest investments you will ever make in your lifetime, so it is essential to keep it well-protected at all times. Our team at Absolute Insurance understands the needs of our customers, and we will fully evaluate your situation to offer the best coverage solutions available of your needs. Whether you need to cover fine art, guns, prized collections, jewelry, furs, watches, or any other items, we have a number of coverage solutions that are affordable and effective. Special limitations may apply on certain policies, but our experienced agents will guide you in the right direction. We even offer insurance solutions for water damage issues and other special services to give you superior insurance solutions that you can count on, like coverage up to full replacement cost. If you don�t own a home yet, no problem! Our renters insurance policies will keep you fully covered, and policies are available for some of the lowest rates in Iowa. Our agents use the latest construction cost matrixes to determine the actual insurance value of your home, rather than going by assessed or market values. We can customize your policy, so that it is effective for your specific needs with the large amount of endorsements we have available. If you are renovating, simply let us know! We can save you a ton of money if improvements are made. We can increase the amount you save by increasing your deductible. 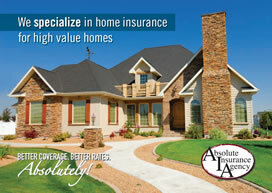 Contact us today to get started on customizing a home insurance policy that will meet your needs. We look forward to speaking with you.